The downfall of the greyhound began back in the 1920’s when betting turned greyhound racing into a profitable business. From then on the fate of this gentle and graceful breed was sealed. Greyhounds were degraded to pure tools, racing machines, being of no interest to their owners once they were no longer winning. Today every decision in a racing greyhound’s life is conditioned by economics. If a puppy is too slow or won’t perform, the puppy will be culled or sold to universities for dissection or research. Of those greyhounds that make it to the tracks, many are kept in appalling conditions, the RSPCA reporting ‘Dogs are generally kennelled for 23 hours a day, for their entire racing life, if not longer, usually two dogs per small kennel, sharing one bed and to avoid fighting, dogs are muzzled as a long term solution’ Few greyhounds are afforded the elite conditions and food fit for a fine athlete or the investment of expensive veterinary treatment. When a greyhound sustains an injury while racing, many are euthanased at the track if the injury is ‘uneconomical’ to treat, allowing for the killing of hundreds of greyhounds who sustain only minor injuries, each and every year. Once greyhounds are no longer competitive and not suitable for breeding they are often abandoned, killed or further exploited. From evidence the racing industry themselves, supplied to the All Parliamentary Group for Animal Welfare enquiry (2007), statistically, at least 20 greyhounds a day, either puppies which do not make it to the track, or ‘retired’ dogs aged three or four, simply disappear, presumed killed. 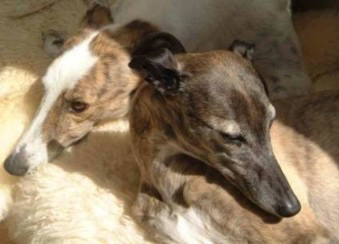 Despite greyhounds normally living to the age of 14 years, greyhound racing has reduced their life expectancy and quality of life to dismal proportions and beyond all recognition. 2008 marks the 2nd anniversary of the exposure of David Smith, slaughtering an estimated 10,000 greyhounds and burying them on his land. Smith charged trainers or owners £10 for his services and two years later on, the only thing to have changed is the price. Earlier this year, The Sunday Times revealed healthy greyhounds were being systematically killed to supply greyhound body parts to The Royal Veterinary College. Trainers and owners are charged a discounted fee of £30 for destruction, with ‘no questions asked’ and the RVC a minimum of £30 for each organ supplied. Presently, 99% of all money bet on greyhound racing is during the Bookmakers Afternoon Betting Service (BAGS) meetings, which is televised to betting shops and streamed live over the internet. These races, nearly 70 a day and on the increase, are not social events or a ‘spectator sport’ but merely the abuse of greyhounds, forced to perform as a betting medium for gamblers. In the 21st century, this beautiful companion to man and womankind, this gentle and innocent creature is by far the most exploited breed in Britain today and is literally RACING TO DEATH FOR THE PRICE OF A BET, 12 hours a day, 7 days a week, 52 weeks of the year.